It’s time for Tori to practice what she preached, but the question is: is she brave enough? Am I Normal Yet? and It Only Happens in the Movies (which I reviewed here), are two of my favourite Young Adult novels – both written with wit, charm, and a desire to empower. As a result, I had high hopes for How Do You Like Me Now? (Holly’s debut adult novel) and it didn’t disappoint. As a woman soon to be 21, sadly (or perhaps not) I felt a slight disconnect to Holly’s latest novel – many of Tori’s troubles are troubles I have yet to experience. HOWEVER, despite this disconnect, I do empathise with Tori’s pain. Holly’s section openings (often in status form), and Tori’s subsequent response, allow a glance into an adult struggling to respond to increased social pressure. 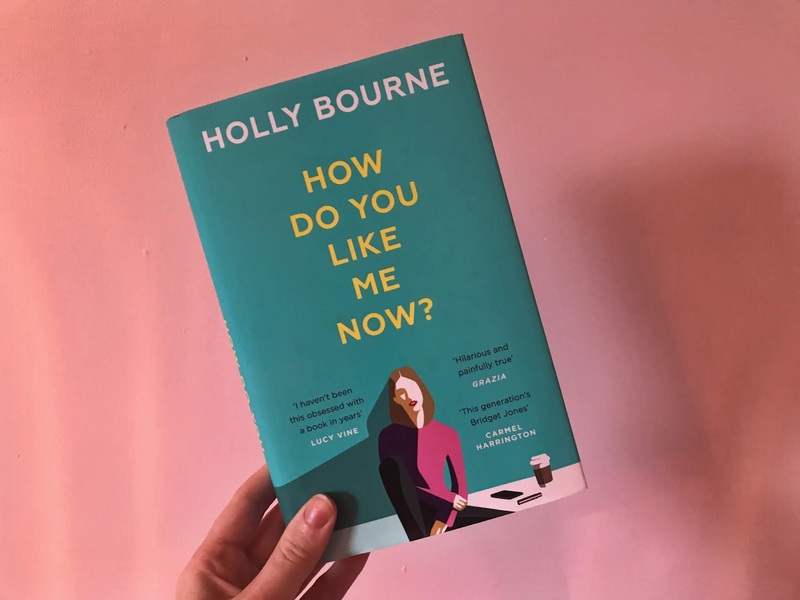 Despite Tori’s social pressure often caused by pregnancy and marriage, success is also a running theme in this novel – Holly artfully details the social media pressure wrought upon millennials, and the effect this has on our own self-worth, and on our measures of success. She articulates all of my disturbed thoughts that often occur when I increase my social media usage: an obsession with likes and hearts that arises from a need to be validated. Tori is not validated by Tom (her long-term, emotionally manipulative partner), nor is she validated by her friends,all on another plain encompassing motherhood and marriage. Her validation is sought from her fans, and her “honest” status updates. But there is the reminder in How Do You Like Me Now? that these “honest” updates are more often that not, a lie, and the life we publish is rarely the life that we lead. How Do You Like Me Now? is also a detailed view into emotionally manipulative relationships. Despite loving one another, Tom refuses to provide for Tori – he is unkind, dismissive, and cruel. But it is easy to see why Tori remains, when what is out there appears to be frightening, and, of course, Tom does love her, if not in a way that he should. It is horribly painful to watch her happiness be siphoned by a man who professes to care for her deeply, and Tori’s journey of self-doubt, denial, and eventual acceptance is heart-breaking to follow. However, the ending is perhaps as oddly peaceful as it is emotionally explosive – it is a stunning end to a charming novel. Holly should be proud of her handling of narcissistic partners – it is both explorative and powerful, while remaining sensitive and understanding of the issue at hand. This novel offers a rare insight into emotional manipulation, and I think (and desperately hope) it will encourage a lot of Tori’s to leave their Toms. I would highly recommend this book to readers of Holly’s previous works – though it is an adult novel, Holly retains the wit, charm and humour of all of her previous novels. It’s also wonderful for anyone struggling to navigate personal and professional success, or those struggling to feel validated in this current climate. It really is a brilliant novel. I just adore Holly’s writing, and I CAN’T WAIT FOR ARE WE ALL LEMMINGS AND SNOWFLAKES? (which has what is possibly my new favourite title). Who do I have to bribe or shower with compliments to get an ARC?